Click link below for all event details! 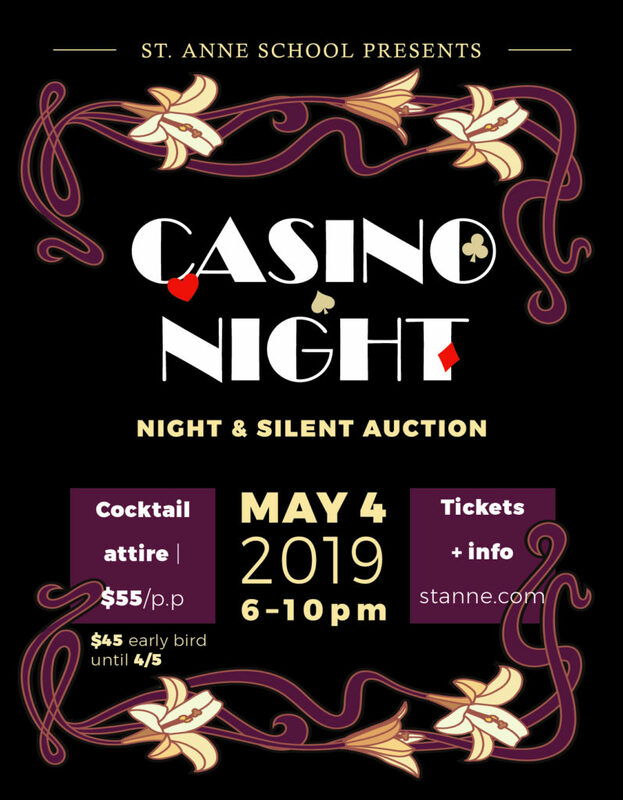 Volunteer for Monte Carlo Casino Night! St. Anne School, San Francisco Located in the heart of the Inner Sunset district, St. Anne School is nestled amidst one of the nation's top medical centers, the famous Golden Gate Park, a plentiful variety of ethnic restaurants, and a warm friendly community. St. Anne is fully accredited by WASC and WCEA.